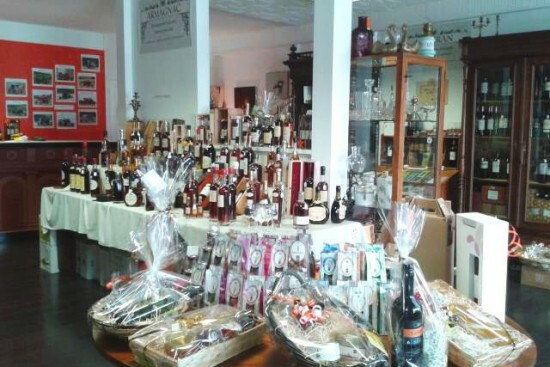 Interview with an Armagnac expert: "passion and epicurean style is key"
Eric Sendra is the owner of Vins, Adour & Fantaisies, a retailer of gourmet wines, spirits and delicatessen goods. Based in southwest France, his cellars include the world’s largest Armagnac catalogue with more than 1,000 references to brandies produced as long ago as 1888. Tell us the story behind Vins, Adour & Fantaisies. What inspired you to start your business? Passion! In 2012, my wife Lou and I had to find work after finishing a temporary contract and decided to open a wine cellar. With the support of a group of 20 domaines, for which I had worked two years before, we gathered a few euros together. 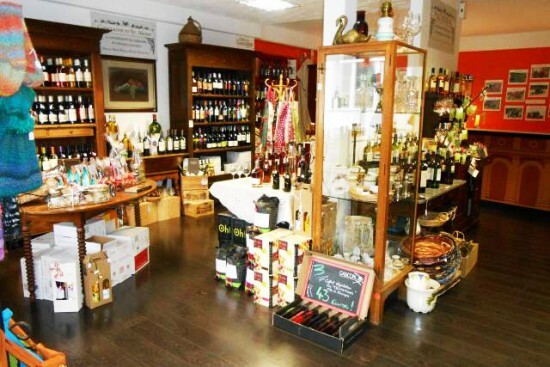 More importantly, we sourced wine, Armagnac and delicatessen goods from local producers. The stakes were terribly high because our village of Riscle is home to only 1,000 inhabitants and is surrounded by dozens of direct producers. But here we are, three years later. 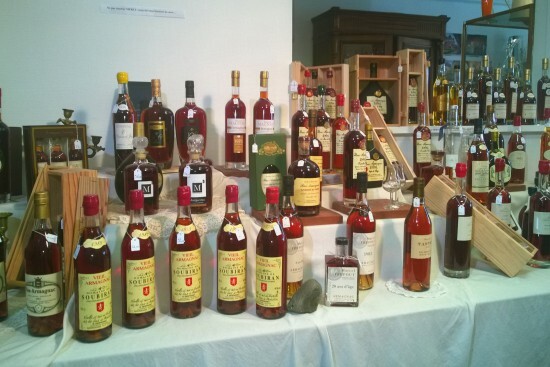 What is your favourite type of Armagnac? That’s a bit like asking me to pick a favourite out of 10 brothers and sisters – I truly love them all! It depends on when you’re drinking it. Young Armagnac and tonic with friends as an aperitif; old Armagnac on your own watching a good match; or vintage 1965, 1955 or 1937 at a dinner party. Armagnac is an emotion, a moment. What dish is best served with it? Two years ago, the BNIA Armagnac Syndicate asked Vin, Adour & Fantaisies to organise a 100% Armagnac-based dinner. It was a great success: white Armagnac with sturgeon carpaccio; young Armagnac or green tea and honey with diced veal; deep and smooth old Armagnac with dark chocolate tart. Drop me a line if you ever want more original pairings with Armagnac and wines from southwest France. Originally, we personally visited many local producers to create our range. Later, since Vin, Adour & Fantaisies has gained visibility and legitimacy, producers and prestigious producers have started to come to us. The spirits and wine we sell are mostly local – we choose our delicatessen products with more discretion, on a basis of quality and originality. For example, we are the only French distributor of a prestigious and multiple award-winning extra virgin olive oil from Italy, called Tamia. Which products would you recommend to an Armagnac novice? I would recommend an Armagnac Hors d’Age from a prestigious or family producer. They still are reasonably priced at around £40 and make a great introduction to the world of amber-coloured, rich and aromatic Armagnac. How do you taste Armagnac? Do you have to use a special glass? The glass is important, yes. A small, spirit-type glass with a narrow opening will do. Avoid Cognac glasses and pour in no more than three centilitres of Armagnac. Firstly, enjoy the colour and texture of the Armagnac against the glass. Next, use your nose – which is as important as your tastebuds. When you start to drink it, do so in very small sips. The Armagnac should be chewed rather than drunk. The first sips can be a bit fierce, but once your palate is accustomed to it you get straight to what is called ‘the aromatic core’. Drinking Armagnac is a privileged experience – a glass can last 20 minutes. When finished, leave the glass on the side of the table and smell it again the following day, and the next, and the next… you will be amazed! What’s your most highly recommended speciality liqueur and why? Armagnac cream! It is a crafted version of a famous cream liqueur and it is just superb – less sugar, less fat, and it pairs superbly with chocolate and coffee deserts. It can also be used to prepare a Gascon coffee. 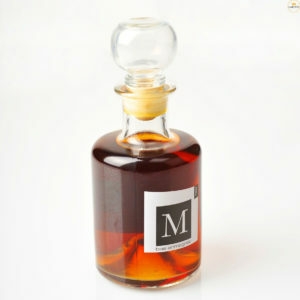 We offer two cream liqueurs: Amarico and Cassagnac. I also love the Belle Sandrine Red that we just launched at the Omnivore World Tour in Paris. Are you thinking of including new products in your range in the future? Always! When passion and epicurean style is key, you can’t help but expand your selection! In Paris we discovered raw Galabe sugar from Reunion Island, and in Toulouse, crèpes Suzette and canelés macerated in Armagnac syrup. As far as Armagnac is concerned, we started with 15 houses in 2012 and we’re now on 32 or 33. We’re expecting to extend to as many as 50 by the end of 2015. We are the de facto world specialist for Armagnac! To discover Eric’s impressive range of Armagnacs and other French delicacies, visit the Vin, Adour & Fantaisies website and online shop.